A sativa pre-roll that provides a fun, uplifting high that isn’t overwhelming to use in a social setting. The high is mellow and typically lasts 1.5-3 hours. Currently our Social pre-rolls feature a sour tangie strain that has a distinct citrus/orange scent and flavor. The flower comes from an all natural farm in Humboldt County in Northern California. An indica hybrid pre-roll that provides a relaxing high with subtle body feels and won't put you to sleep. The high isn't too powerful and typically last 2-3 hours. 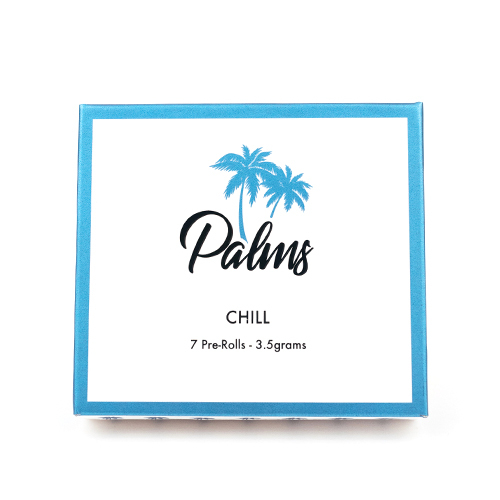 Currently our Chill pre-rolls feature a taffie strain that has a subtle citrus flavor with hints of caramel. The flower comes from an all natural farm in Humboldt County in Northern California.